Brian Ling is the CEO/Executive Director of the Sonoma County Alliance – Business Advocates for a Healthy Economy, Community, and Environment. Petaluma Sunrise Rotarian and District 5130 Friendship Exchange Chair, Greg Freitas, told us about the great travel opportunities with Rotary Friendship Exchange. 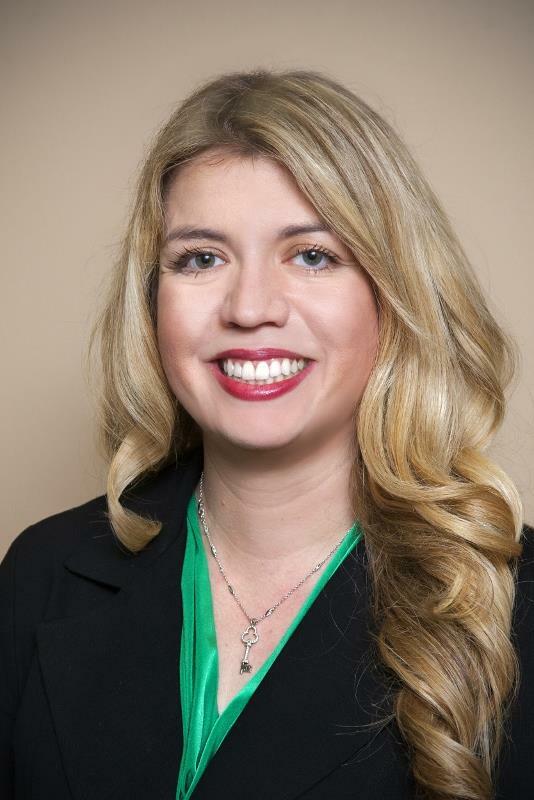 Isabelle Accornero is our club's newest member. Tyanna Smith was inducted to club today, in our new Young Professional membership category. She works in Risk Management. Our Young Professional membership allows for a 50% reduction in club dues for the first two years. Interested? Please reach out to us. Terre Lane is inducted to club membership. She is a retired flight nurse. 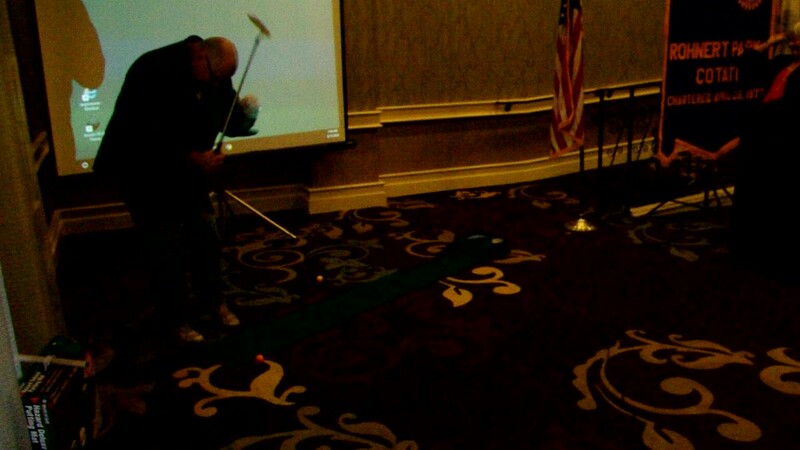 Tommy wins President Pat's "Putts or Putz" golf challenge to raise funds for the club's foundation. 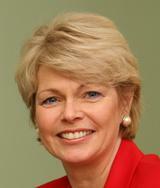 This morning, we welcomed our new president, Patricia Mulcahy Miller, who certainly lived up to this year's Rotary International theme: "Be The Inspiration." Thank you Pat; you inspire us! It's going to be a great year! 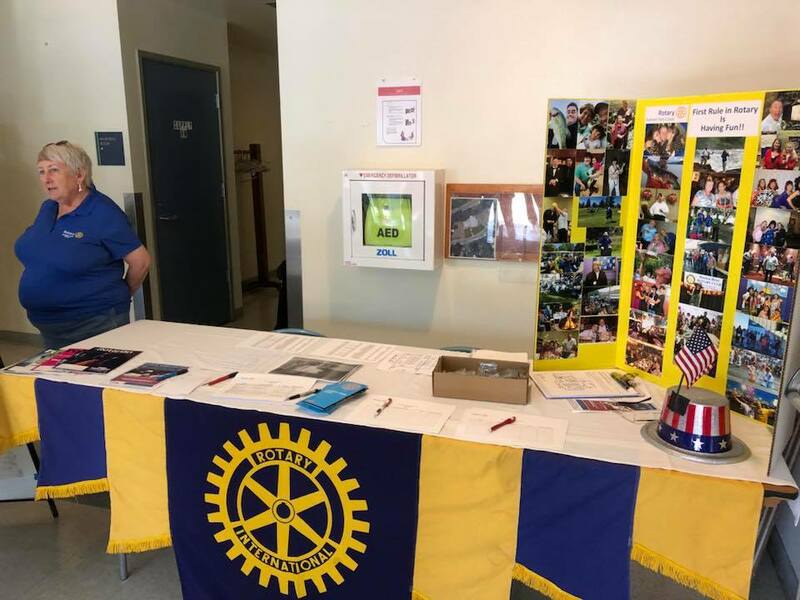 On Saturday, June 16th, our club hosted a free BBQ for veterans at the Cotati Veterans Memorial Building. In addition to the meal, appreciative acknowledgments, each veteran was given a specially commissioned Challenge Coin by our club. 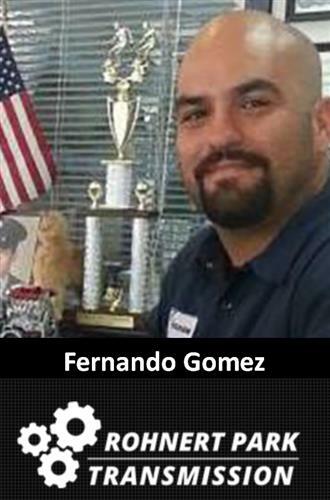 Since we're a community service organization, it's good for us to simply just be in the community from time to time. 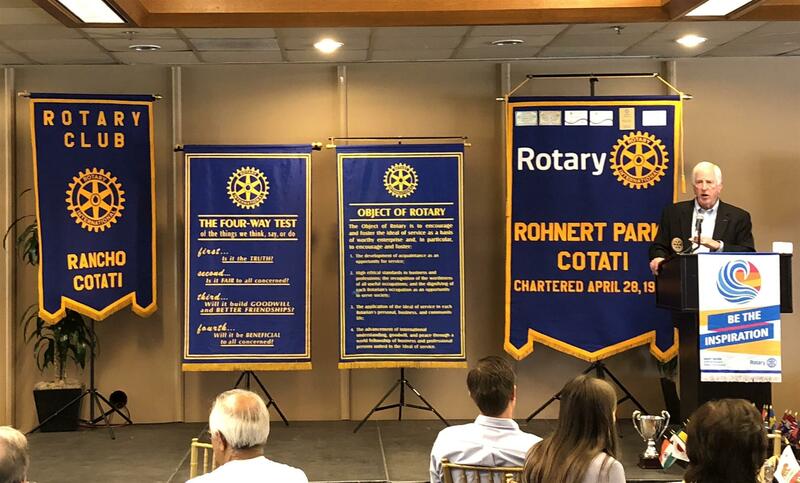 Telling the Rotary story; answering the question: "What Is Rotary"? Look for us at the Rohnert Park Farmers Market/Party on the Plaza. 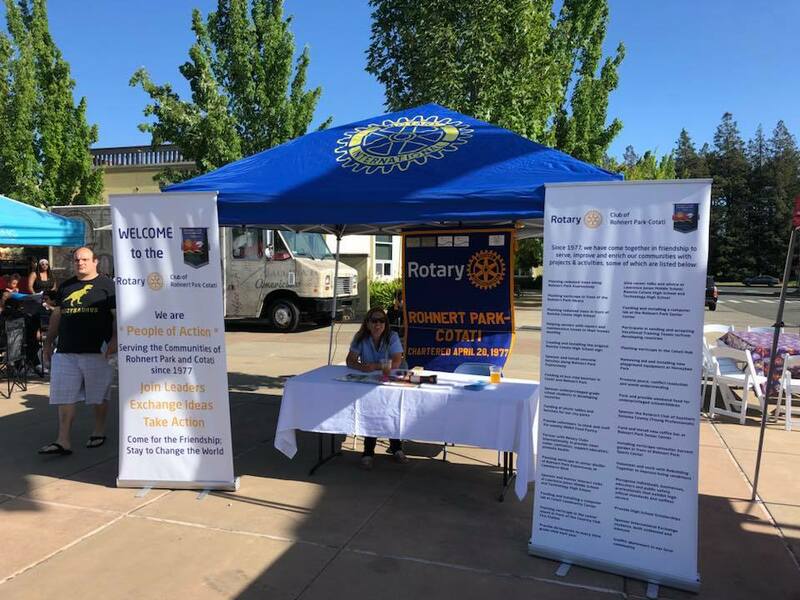 An offer to rehabilitate some municipal landscaping in front of the City of Rohnert Park Burton Avenue Recreation Center has turned into our club's largest community service project ever, as we transform the area into the Rotary Community Peace Park. We come together on Saturday, Dec. 16th to wrap gifts for families. THANK YOU to all who came out to support this very successful fundraising campaign! It is wonderful to see our community come together to support each other, serving humanity and making a difference. In the aftermath of the Sonoma County Fire devastation, club members gather as family and friends to share, to grieve, to support, to hug. Together, we'll move forward stronger than before. Member Steve Campbell gave a brief presentation on how the brain reacts to these types of disasters. 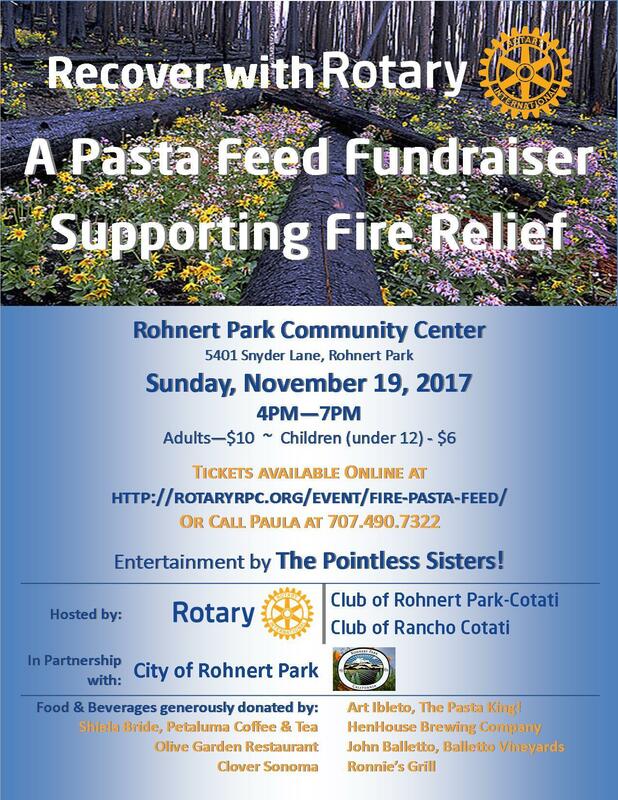 We, the members of the Rotary Club of Rohnert Park-Cotati, declare we will get through this together. We will support those impacted by the fires, including our club members, families, friends, colleagues, neighbors and community in the upcoming weeks, months, and years. WE ARE BETTER TOGETHER! Jeff Thomas is recognized by president Heather-Ann for his continued contributions to the Rotary Foundation, attaining his Paul Harris Fellow +4. 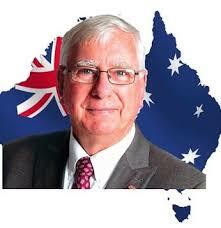 Jeff has contributed over $5000, making a difference locally and internationally. President-Elect Pat Miller and President-Nominee Dave Kowalski both completed the two-day, intensive, Institute for Leadership offered by District 5130. The club's own Past District Governor Wulff Reinhold is one of the instructor/facilitators. Our club has the highest number of graduates from this course, both per capita and overall. 7 of last 10 members in the presidential line have taken advantage of this great program. President Heather-Ann recognizes Mike Pastryk as the Rotarian of the Month for August. Don has completed all of the new member learning objectives to attain his Blue Badge. Thanks Don! Dave Kowalski is inducted as the club's newest member. President Heather recognizes Sharon Bricker-Ferris as July's Rotarian of the Month! 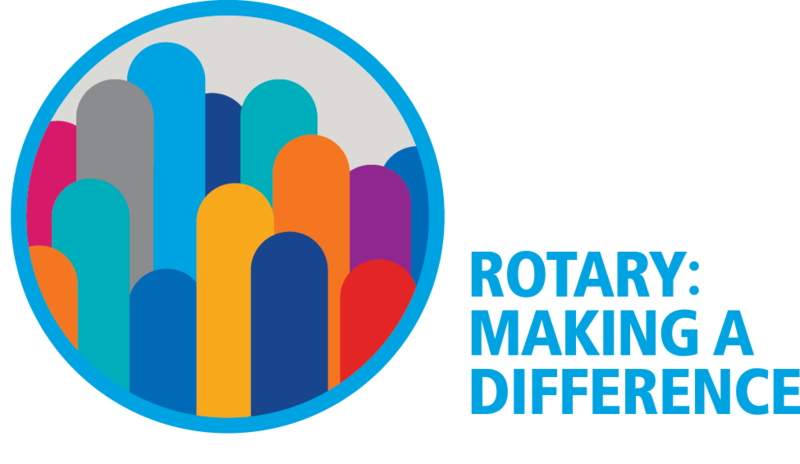 It is a NEW Rotary Year! Humanitarian needs exist right here in our own community. Rotarian Brian Masterson, who is also the director of Public Safety, helped out Ed yesterday morning with a "Lifepack"; a hot meal pack similar to a military MRE (meals ready to eat). 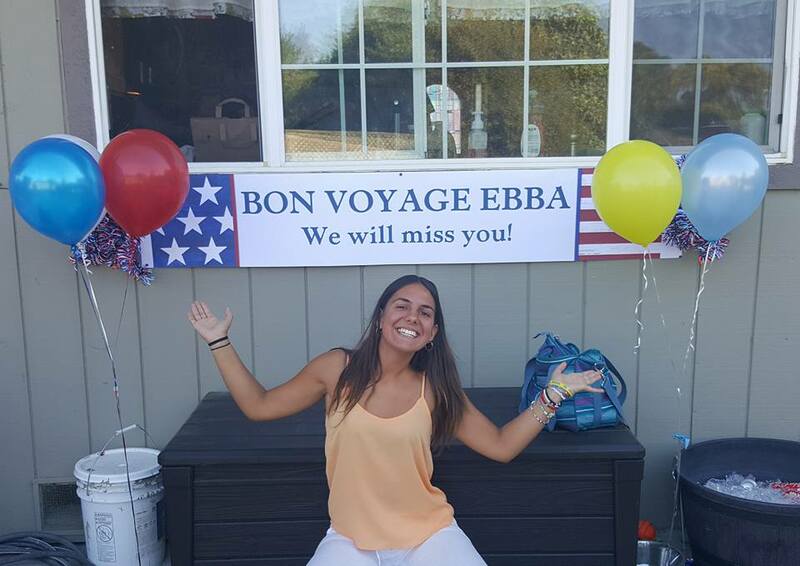 Our exchange student had her parents, Peter and Helena, visit from Sweden. Heather-Ann, our president for 2017-2018, introduced her board members to the club this morning. 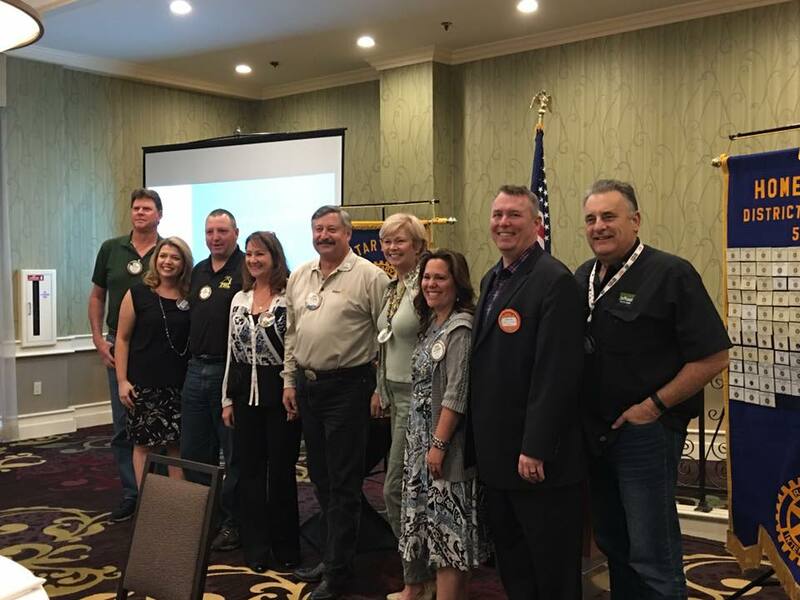 During the 2017-2018 year, from left to right: International Service Director Mike Pastryk, President Heather-Ann Young, Youth Service Director Ken McCoy, Immediate Past President Peggy Wyman, Club Service Director Wulff Reinhold, President-Elect Pat Miller, Club Secretary Paula Reinhold, Vocational Service Director Johann Scrimshire, Club Treasurer Gary Jeffcoat. 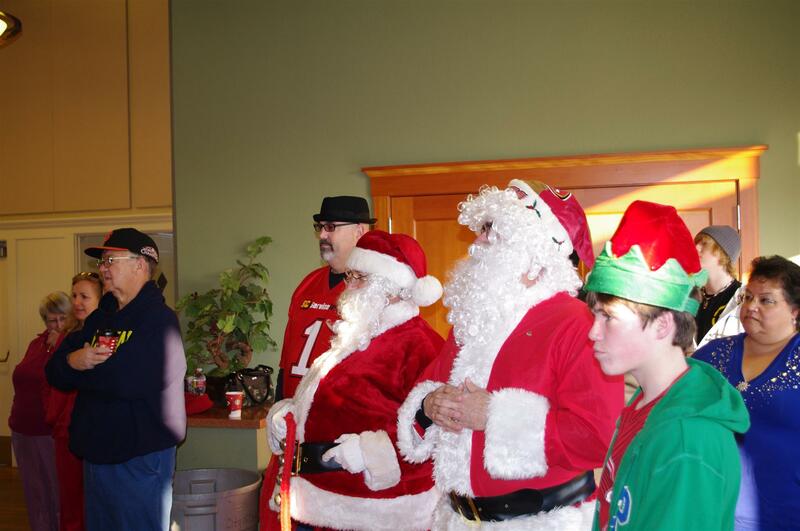 ABSENT: Community Service Director Bob Stewart, and Club Rotary Foundation Director Dale Ann Knight. Jesse Shepherd Joins the Club! Meet our newest member, Jesse Shepherd! 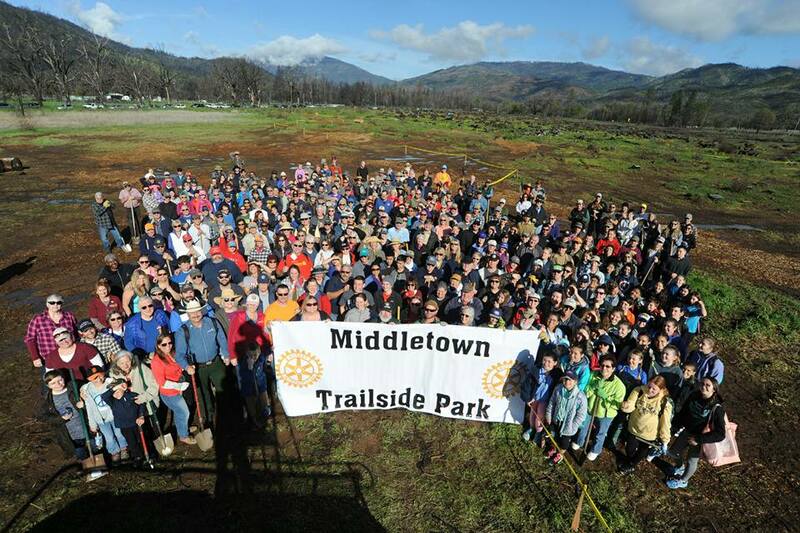 A total of 14 club members, their family and friends joined over 350 other Rotarians, Interactors, and community volunteers in planting 4000 Ponderosa pine seedlings in a Middletown park. The club has selected and elected Pat Miller to serve the club as president in 2018-2019! 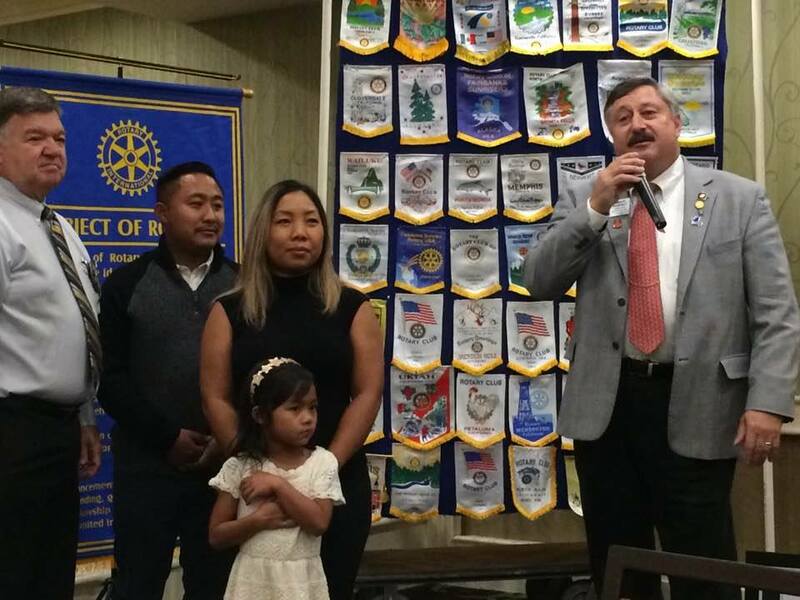 The Rotary Club of Rohnert Park-Cotati welcomes new member Nou Andee. New was sponsored by Ron Henderson and was joined by her husband Steve and her daughter. The induction was done by District Governor Wulff Reinhold during his official visit to his home club. Welcome Nou and thank you for joining Rotary to help Serve Humanity! 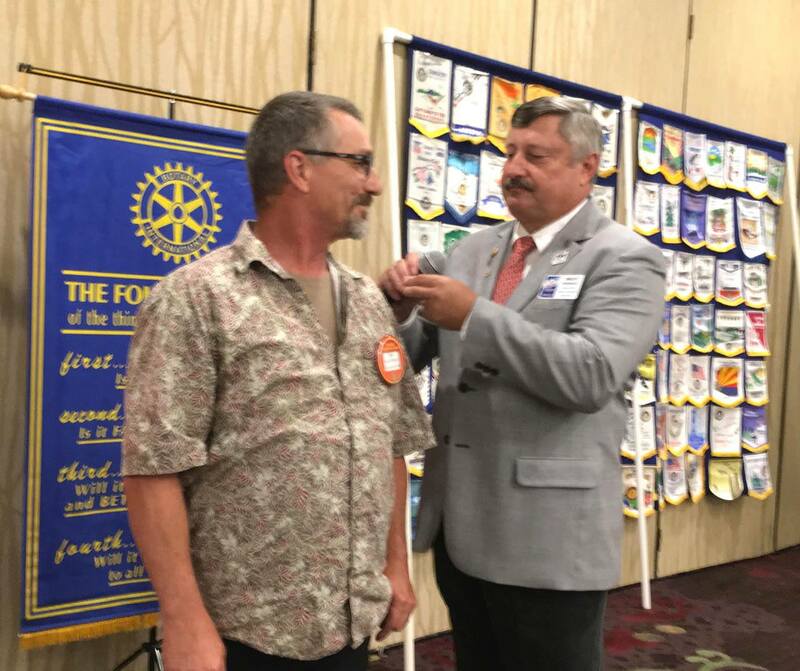 Meet Jim Deffendall, the first member inducted to our club in this 2016-2017 Rotary year. Club member and Jim's sponsor, Wulff Reinhold, himself the newly minted District Governor, assisted with the induction and pinned Jim. Welcome to the club Jim! 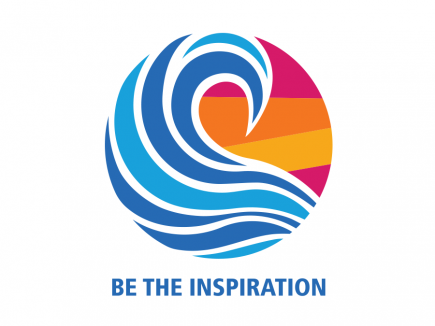 July 1, 2016 marks the start of the new Rotary year, which means a change in leadership throughout the organization. 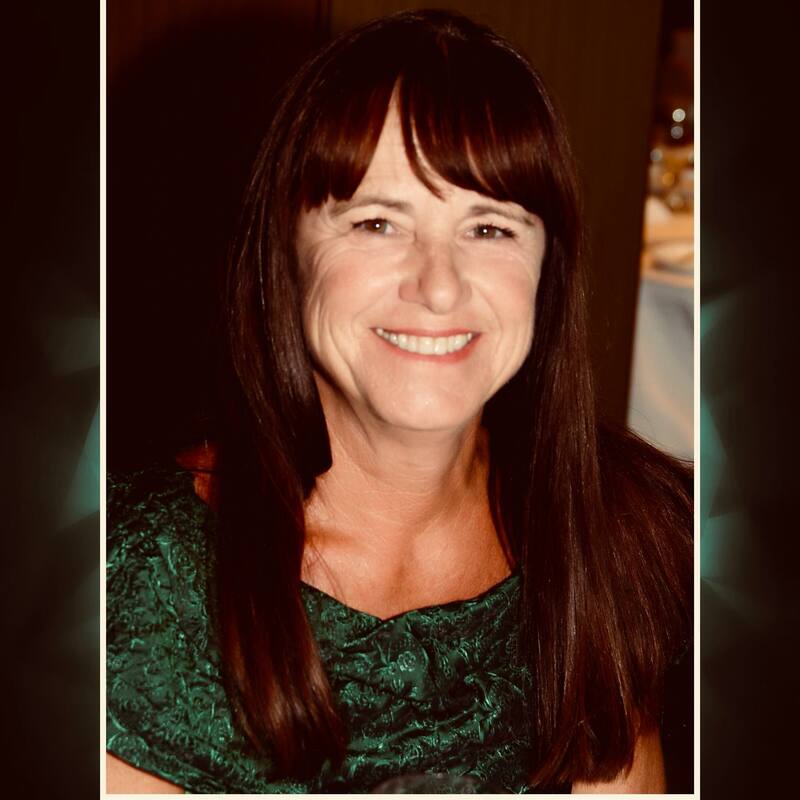 Peggy Wyman is the new Club President! 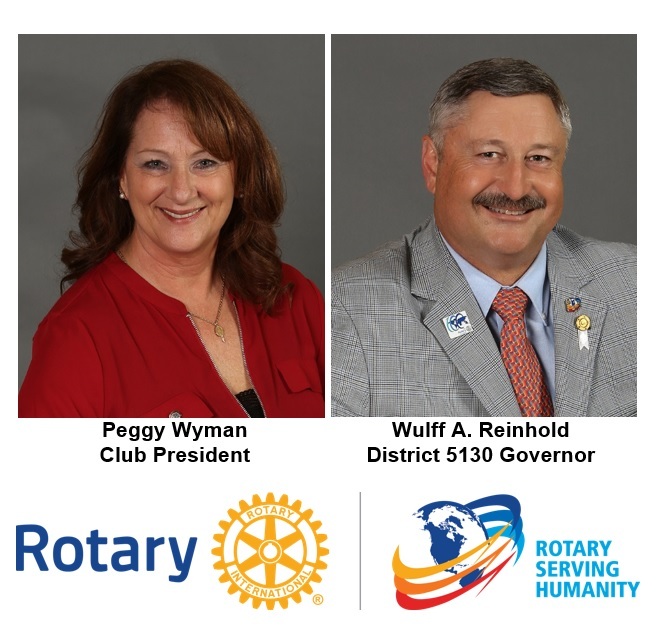 This year also marks the first time for our club to be the Home Club of the District Governor, as Wulff Reinhold starts his term as District Governor for Rotary District 5130, covering the north-west of California, from Petaluma to Crescent City.